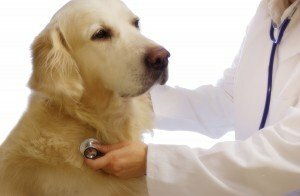 Your pet vaccination against deadly contagious (but preventable) disease is an incredibly important part of their overall health and well-being. This is something that you, together with us, can do to guard against some of the nasty viruses (and bacterias). These viruses and bacterias can cause your pet unexpected suffering, or even result in loss of life. Make no mistake; the diseases we immunise our pets against are unpleasant at best, and lethal at worst. Canine parvovirus, in particular, remains a big threat to dogs in the Perth metropolitan area, and Feline “Flu” and Feline Leukaemia are diseases that are not going to go away. Thanks to vaccination programs, we now see very few cases of Canine Distemper, a disease that was once very prevalent in dogs in Western Australia, although it is still endemic in many other parts of the world. We can discuss your pet vaccination needs with you at your pet’s ANNUAL HEALTH ASSESSMENT and determine what program is right for them. For more information on these preventable communicable diseases, please discuss with one of our veterinary staff.